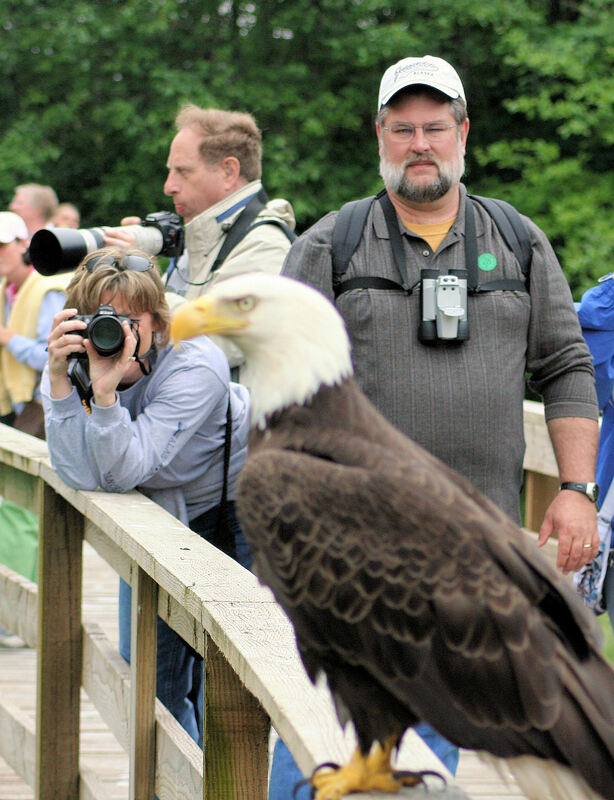 A premier Alaska wildlife viewing opportunity! Take a scenic coastal drive to rustic Herring Cove, where a naturalist guides you along improved trails into the dense forest, for a chance to see wildlife in their natural habitat. The sanctuary borders the Tongass National Forest. Stroll through tall stands of hemlock, spruce and Alaska cedar, stopping at viewing areas to photograph this natural wonderland. See old-growth trees and a multitude of plants in this lush rainforest. The forest trail leads to an elevated boardwalk overlooking Eagle Creek where, during spawning season, salmon runs attract eagles, bears, seals and shorebirds. Bears and seals feed on the salmon while eagles and other birds wait for the scraps. Mink, marten and wolves also frequent the area. Seasonal changes in the ecosystem result in varying levels of animal sightings. Watch and listen to nature's symphony in this spectacular setting. Rain ponchos if necessary. Complimentary coffee, hot chocolate, tea and a smoked salmon snack in general store as well as a complimentary admission to the Southeast Alaska Discovery Center at the conclusion of tour. Requires approximately 1/2 mile walk on possibly uneven terrain through forest. Not recommended for guests with mobility issues. NOTES: Wildlife sightings not guaranteed. Wear comfortable walking shoes and warm clothing. This tour operates in all weather conditions. Rain ponchos provided if needed.